Jan 24, 2017: About 200,000 litres of oil spilled near Stoughton, Sask., last week. 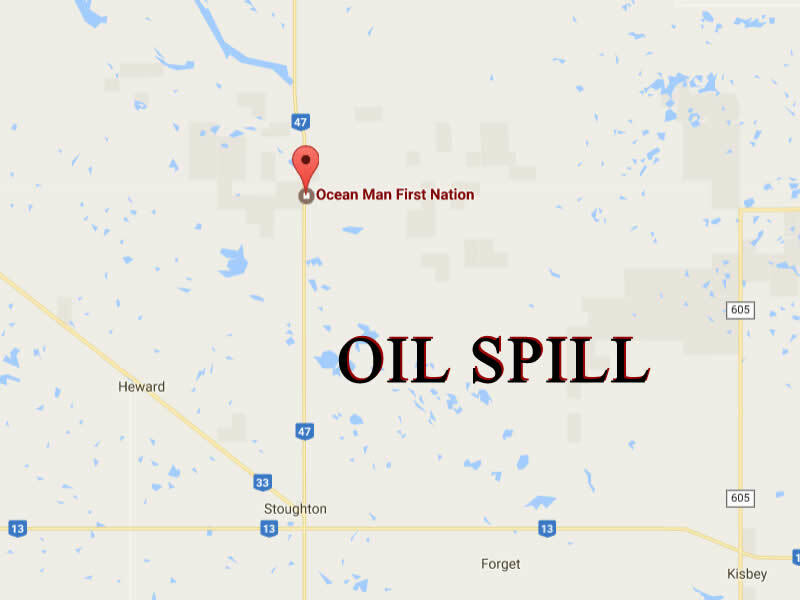 The pipeline breach occurred on First Nations land about 140 kilometres southeast of Regina. The spill covered an approximately 20-metre radius. The provincial government was notified of the spill on Friday evening "as soon as the leak was detected," a government email said. Media were notified Monday afternoon. The pipeline was shut down when the breach was discovered, and the spill is fully contained. The source of the leak is not yet known. The oil did not enter any water sources but covered agricultural land, the email said. The site was described as a low-lying area with a frozen slough. The spill has not affected air quality or wildlife as of yet, the government said. Cleanup, led by Calgary-based Tundra Energy Marketing Inc., began on Saturday. As of Monday, 170,000 litres of oil had been recovered, the email said. 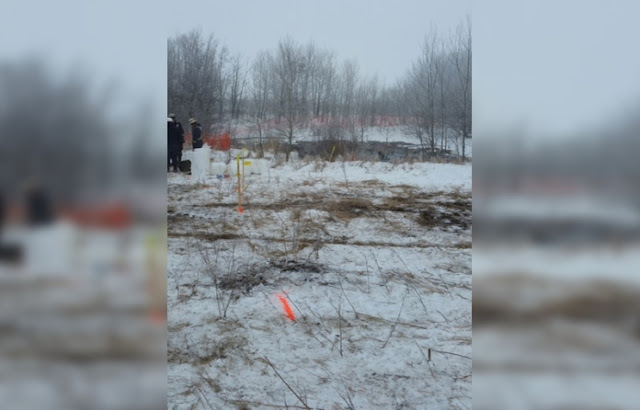 Doug MacKnight, assistant deputy minister with the Economy Ministry's petroleum and natural gas division, said there are multiple pipelines in the area of the leak. Until the site is excavated Wednesday, it will not be known which one is responsible. However, the Tundra-operated pipeline is thought to be the source. Chief Connie Big Eagle of the Ocean Man First Nation visited the site last weekend. Representatives from Indigenous and Northern Affairs Canada have taken the federal lead in the response. "The first phase of getting the oil out of there should happen fairly quickly, but how long it'll take to bring it back, that's some reclamation work that's going to have to get done," MacKnight said. Typically the company operating the pipeline is required to remediate and reclaim the land back to its original state, MacKnight said. Any compensation would have to be discussed between the federal government, the company operating the pipeline and the band. The spill comes seven months after a 225,000-litre Husky oil spill, in which some entered the North Saskatchewan River. It is unclear if there has been an inspection done on the pipeline in recent months, MacKnight said. If there had been any inspection, responsibility would be company's, he added. Responses to "200,000 litres of oil spills onto First Nations agricultural land near Stoughton"